Hey, Magooshers, and welcome back. 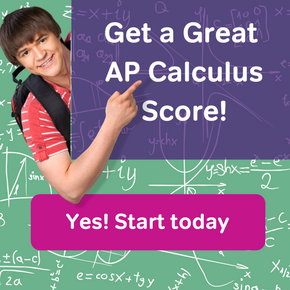 If you’re taking Advanced Placement (AP) courses this year, good for you! AP courses are some of the most difficult high school classes out there, and it takes a special breed of student to succeed in class and on exam day. If you don’t already know, the recipe for AP Exam success is one part content knowledge and one part standardized test savvy. In this article I’ll be discussing the latter. If you stick with me over the next few paragraphs, I’ll give you everything in my AP toolbox so you can create a successful AP Exam study plan. So if you’re ready, let’s get down to business. To create an AP Exam study plan, organization is key. When I took AP US History, for example, my teacher made us organize our binders in a overly meticulous way. She even graded us on it! Though kind of a pain at first, this system allowed me and every other student to create our own AP study plans later on in the year. If your AP teacher has little to nothing to say about organization, here’s what I’d recommend. For each AP course, use a three-ring binder at least 2” wide. It will take up a lot of space in your locker/backpack, but you’ll need every bit of it throughout the year. In your binder, use dividers to create the following categories: notes, handouts, quizzes, and tests. You may need more categories, but these four are essential. Quizzes and tests are especially important as the results represent where you struggled in class. Each missed question is an opportunity for improvement. And if your binder should get too full, periodically empty it out at home. Just make sure that the papers stay organized, and that you don’t lose anything! Most AP courses are a year long, meaning that’s a lot of material to learn for exam day. Yet if you use each month to your advantage, you can build a successful AP Exam study plan. For the first half of any AP course, it’s time to buckle down and focus on content. After all, it’s hard to take practice tests if you don’t know much of the material. During this time, don’t run out and buy study guides. Rest assured that you’re receiving a proper introduction to AP-style questions on each of your unit tests. Winter break conjures thoughts of roaring fires, presents, and perhaps a little snow. Yet for you, winter break means starting your AP Exam study plan journey. Get out there and buy a study book (or two). If your AP course hasn’t undergone a major revision in a few years, it’s perfectly fine to buy used copies. Also, you will save a lot of money. Keep your study guides in good shape and you can resell them in May. You have one objective over winter break: memorize the format of all your AP Exams. To slay the beast, you must know the beast. This is your mission. In January and February, you will still be learning a lot of new content. For this reason, I wouldn’t suggest that you take any full-length practice exams. What I’d do, instead, is begin taking practice free-response questions that cover the material you have already learned in class. Here’s an idea: as you look through your test booklets for appropriate questions, try cobbling together a ‘Frankenstein’ free-response section from material you know. This way you will be able to simulate the entirety of Section II. 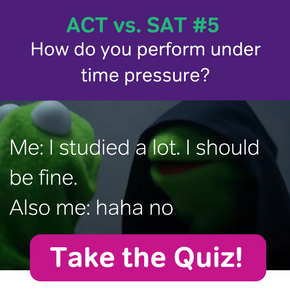 Make sure to test yourself under timed condition, too! Okay, so it’s March, which means spring break! Though I won’t begrudge you if you should use this week to relax, there are a few ways you can use this time to your AP advantage. The first thing to do is to take your first full-length practice exam. Yes, there will still be some gaps in your knowledge, but that’s okay. As you grade your exam, separate the questions you missed into two groups: things I don’t understand and things I haven’t learned yet. Only focus on the first set of questions as you start reviewing material. Also, late March is about the time AP students like yourself should begin the review process. Start with the oldest material first, and work towards the present. You’ll be surprised by the amount of material you really need to review. Okay, so it’s time to focus on full-length practice exams, especially in the latter half of the month. My suggestion is to take at least two full-length practice tests under timed conditions. Okay, you may or may not have enough time to take one final practice test before your AP Exam. If not, keep focusing on those problem areas. Yet if you can take one last practice exam, do it about a week before the test. There’s not much you can do with the results, but the score will give you the best predictor of your exam day performance. Taking lots of practice AP Exams is great, but what happens next determines whether or not your AP Exam study plan actually works! So let’s say that you’ve taken your first full-length practice exam. You’ve scored the multiple-choice and free-response questions. Before putting things away, you need to analyze the results. Go through each missed question and write down the topic/concept the question represents. This list of topics is now your study guide before your next practice exam. After repeating this process once or twice, you are sure to see the list of topics shrink significantly. 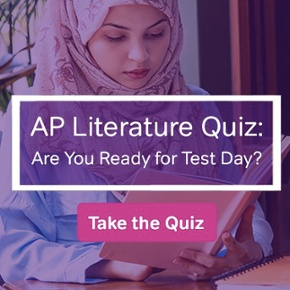 Will there be a few left on your last practice exam before AP Exam day? Sure there will. No one’s perfect, not even student who earn 5s. Well, Magooshers, I hope you have a better handle on how to make an AP Exam study plan. Yes, there is a lot of work outside of learning the material. Yet the earlier you start preparing for May, the more likely you are to reach your potential on exam day. Thomas spent four years teaching high school English, social studies, and ACT preparation in Middle Tennessee. Now living in Northern California, he is excited to share his knowledge and experience with Magoosh's readers. In his spare time Thomas enjoys writing short fiction and hiking in the Sonoma foothills.